Many people point to the Supreme Court's decision in Citizens United v Federal Election Commission (2008) as the beginning of the end of democracy in America. They hold that this simply opened the floodgates to so-called "dark money," and elections would be decided by who could afford to spend the most. The problem is, this is not completely true. Yes, it did make it easier for organizations to influence elections through campaign propaganda thinly disguised as "issue ads," but in reality the main effect of the Citizens United decision was to rip the band-aid off. Let's face it ... money and politics have been uneasy bedfellows since the invention of both, and past attempts to limit the effect of one on the other have all failed because they are taking a fundamentally wrong approach. Way back in the day, one could simply buy an election if one had the resources. Candidates did everything short of pasting "for sale" signs on their foreheads. Patronage and nepotism were endemic, and the proverbial smoke-filled rooms where winners and losers were chosen were actual places. The idea came that, to put a stop to this, the best approach was to limit the amount of individual donations. This was about as effective a measure for halting the flow of cash as a spaghetti strainer was for bailing out post-Katrina New Orleans, but it made for good optics ... the public were given the impression that something was being done to fight corruption, and candidates still got to rake in the big campaign bucks. Allow unlimited donations to primary campaigns. Any funds left over at the conclusion of the primary will be deposited into a general election fund. This fund shall be divided equally between all declared candidates, with 10% of the fund total being reserved for issue-related materials. No direct direct fundraising during the general election. Any donations made for the general election shall be deposited into the general election fund. No donation for any issue-related materials, nor any direct expenditures for these materials will be allowed. Any campaign-related expenditures made during the general election, whether for an individual campaign or issue-related propaganda, shall be made from the general election fund. Prepayment for any activities taking place during the general election (including, but not limited to, advertising, campaign staff, and transportation) shall be deducted from that entity's share of the general election fund, and the fund will be reallocated accordingly. So here's the thinking on each of these points. 1. Allow unlimited donations to primary campaigns. Citizens United established the idea that limiting the amount of money an individual can spend on a campaign is tantamount to an infringement of that individual's First Amendment rights. It also, along with Hobby Lobby v. Burwell, codified the notion that corporations have the same rights as individuals. By allowing unlimited donations in primary campaigns we allow people to spend to have their candidate on the ballot in the general election without infringing on these rights. 2. 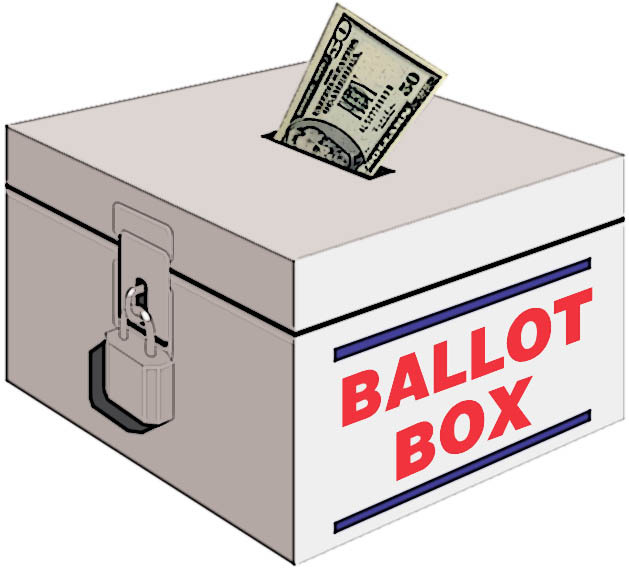 Leftover primary funds will be deposited into a general election fund. 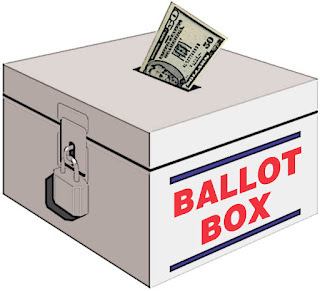 At the conclusion of the primary, any money collected by any entity as part of the election cycle -- whether it is a candidate, the candidate's PAC, a super PAC, an independent organization publicizing a specific issue, or any entity engaged in election-related activity -- shall be turned over and deposited into the general election fund. This provision will have the full force of law behind it, with steep penalties -- including possible disqualification from running for or holding office -- for any candidate or organization that attempts to hold anything back. This fund will also consist of money collected from individuals who check the "donate $3 to the general election fund" (or whatever the amount turns out to be) on their tax returns, as well as any appropriations ratified by Congress during the normal budget process. 3. General election funds to be divided equally between declared candidates. The first 10% of the money in the fund will be allocated for use by groups wishing to publish issue-related materials not directly affiliated with any specific candidate. The remaining 90% will be divided equally between all declared candidates ... that is, candidates who have met all the requirements to have their names placed on the ballot. 4. No direct fundraising during the general campaign. Once the primaries are over, candidates and advocacy groups may not engage in fundraising activities until after the general election has been concluded. This does not mean that donations may not be made, it simply means that any donations made will a) have to be initiated by the person or group making the donation, and b) be deposited into the general fund. 5. No donations for specific issue-related activities. This ties into #4 above in that donations will not be allowed to be earmarked for specific issues. 6. All campaign-related and issue-related expenditures made during the general election will come from the fund. Anything related to the campaign -- from a major ad buy on a national network down to a package of Post-It notes for the field office in Partlow, Virginia (yes, that's a real place!) must be paid for from the general election fund. If a campaign volunteer runs out to get a package of pens for the office, either he or she must be reimbursed from the general election fund or the fund will have to be reallocated. Again. 7. Prepayment will be deducted. Let's say Candidate A decides he's going to try to make an end run around these rules by buying up general election ad space on ABC, CBS, and NBC during the primary season. In this case, the cost of any time purchased that would be used during the general campaign is deducted from Candidate A's share of the general election fund, then that amount deducted is reallocated among the other candidates and advocacy groups according to the formula above. The overall idea with these provisions is to protect First Amendment rights while simultaneously protecting against the corrupting tendencies of large sums of money and the mitigating the undue influence of mega-donors. Only then will be able to claim, with a clear conscience, that our elections are truly free and fair elections. Please like and share this post from my Facebook page at www.facebook.com/blowhardpundit (you can like and share the page itself, too! ), and please consider donating to my advertising campaign at www.gofundme.com/blowhardpundit.